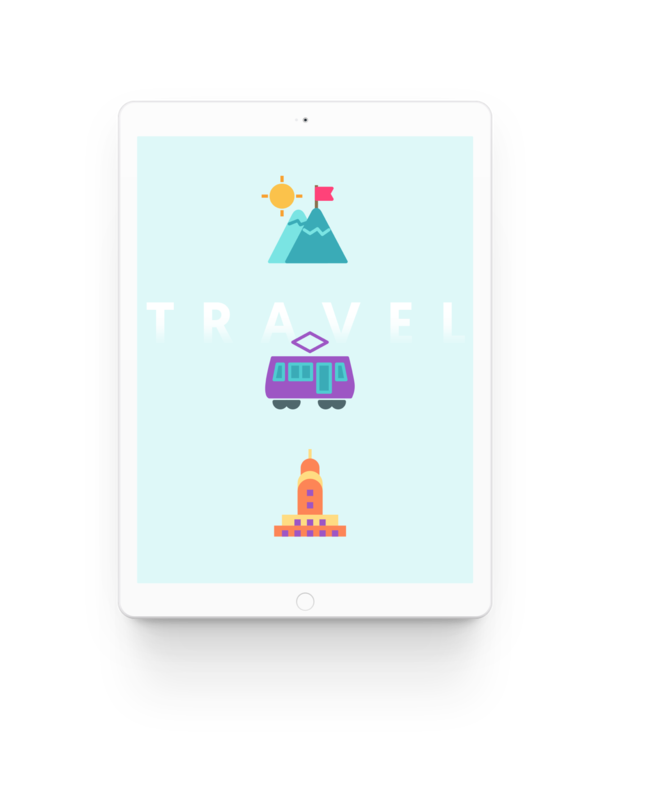 96 custom, colorful travel icons that will fuel wanderlust. 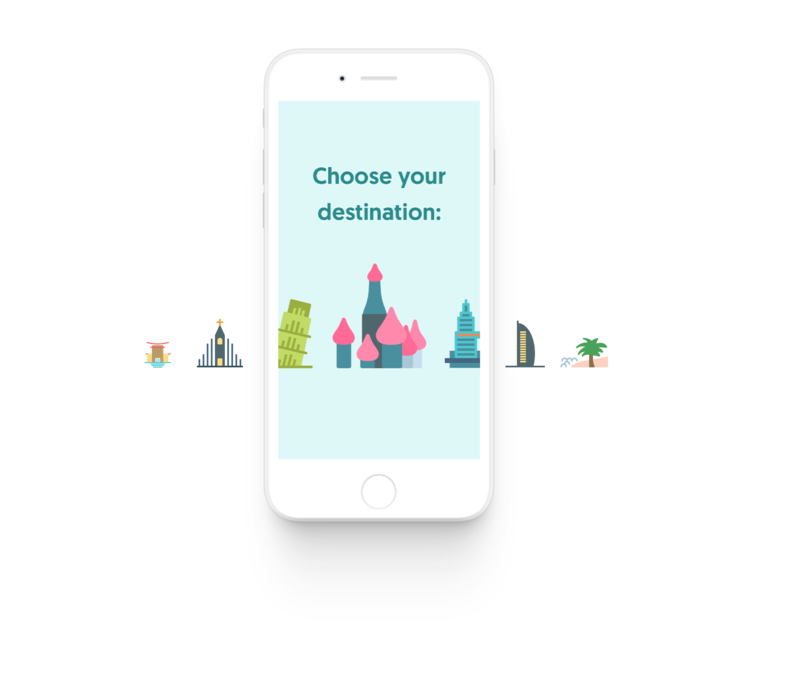 Perfect for adding personality to your travel app, hotel website, travel publication, ecommerce site, or travel-themed content. This free icon pack was made by our friends at Swifticons exclusively for the InVision community. Comes in all the file formats you need: EPS, PNG, PDF, JPG, AI, IconJar, and SVG. Available in vector format and in a flat color style that you can easily tweak to fit your brand. You’ll find everything from luggage to cars, planes, buildings, palm trees, RVs, passports, boats, and famous landmarks.